A pretty manicured lawn can be easily destroyed by gophers. They chew on the roots of small shrubs from underneath and sometimes are the reason for bushes dieing for no reason. Their constant digging produces mounds of dirt which they displace from their tunnels. A source of concern for cattle and horse ranchers due to the fact that legs of these animals can be broken easily by stepping into a tunnel produced by a gopher. 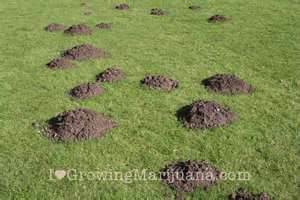 Typically 1 gopher produces 3 mounds of displaced soil daily. From a distance these mounds look like fireant mounds and are often confused as such by homeowners and landscapers alike. 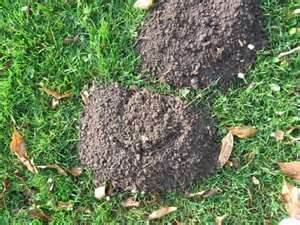 If you drive on the Clyde Fant Parkway in Shreveport, or the Arthur Ray Teague Hwy in Bossier City, it looks like hundreds of ant mounds on the sides of the roadway, these are actually gopher mounds.Gophers, unlike moles, another lawn pest, are herbivores, meaning they eat the roots of small shrubs, bushes, and dandelions. 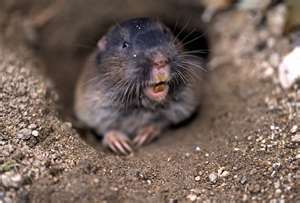 Active year round, the local gopher species is the plains pocket gopher, named due to the two pouches at the edges of their mouth that they store food in. Pale brown, black or gray, 6 to 8 inches long, small eyes, with extremely large front claws. 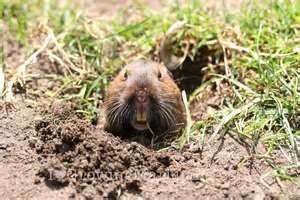 South Bossier and south Shreveport have always had a history of severe gopher activity. If you live in these areas take action immediately if you notice this pest on your property. They reproduce and will destroy your yard quickly! ACE SERVICES PROVIDES TRAPPING AND REMOVAL OF GOPHERS IN BENTON, BOSSIER CITY, BLANCHARD, ELM GROVE, DOYLINE, GREENWOOD, HAUGHTON, KIETHVILLE, MINDEN, MOORINGSPORT, SHREVEPORT, STONEWALL AND THE SURROUNDING TOWNS. dirt mounds in the yard? dirt mounds in the flowerbeds?